Dr Rachel King graduated from the University of Queensland [with first class Honours] with her identical twin sister Dr Megan in 2009. 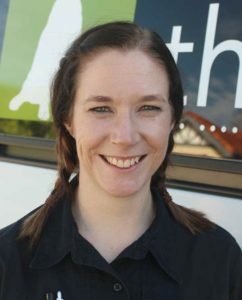 She has been treating Brisbane pets in general practice since and joined The House Call Vets team in June 2017. Dr Rachel will become a familiar face to those visiting our brand new Kenmore clinic and she is looking forward to getting to know you and all your pets! Dr Rachel has recently resumed study with the hope of sitting her exams in Internal Medicine through the Australian and New Zealand Veterinary College. She is passionate about all things medical and finds endocrinology (diseases affecting the balance of hormones) of particular interest. Rachel also enjoys dentistry and seeing how improving dental health positively impacts her patients. Rachel’s strengths are her patience and thoroughness and is dedicated to being an excellent clinician. She is always kind and sensible in her approach and really enjoys getting to know her clients and their fur families. Dr Rachel has her own fur babies who she loves dearly including “Rosie” the Golden Retriever, “Chester” the cheeky Groodle, and her two cats “Sprinkles” and “Yoda”.